Polysafe Apex is a safety vinyl flooring range combining the assurance of sustainable wet slip resistance with high durability for years of performance in extreme, heavy footfall commercial areas. Available with enhanced slip resistance, the range features a concentrated level of safety aggregates in the vinyl to ensure underfoot safety. 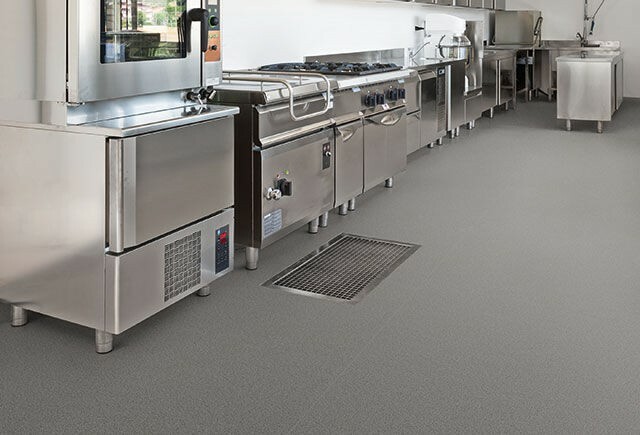 Provides low slip potential in busy commercial kitchens and food processing areas where oil and grease are regular contaminants.